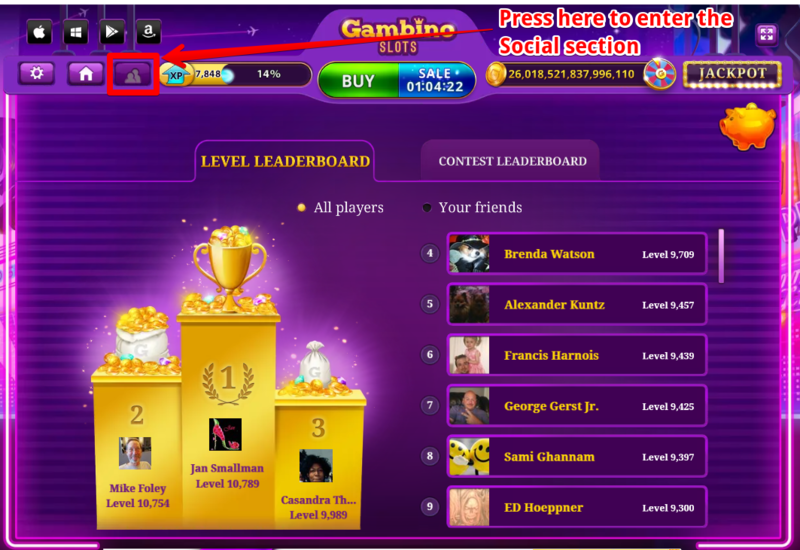 In order to learn more about your friends and the current TOP-players of the game, there is a section called "Leaderboard". It is located in the Social section. Then you can switch from the "Invite friends" tab to the "Leaderboard" tab. All Players - here you can see TOP-50 players, their names and current levels. Your friends - here you can find all of your in-game friends and learn more about theirlevels and ranking among your friends.